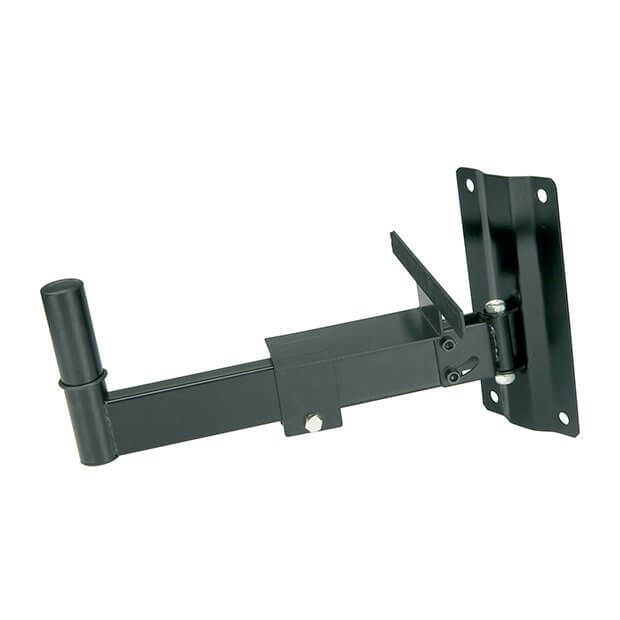 A strong speaker bracket for wall mounting speaker boxes. 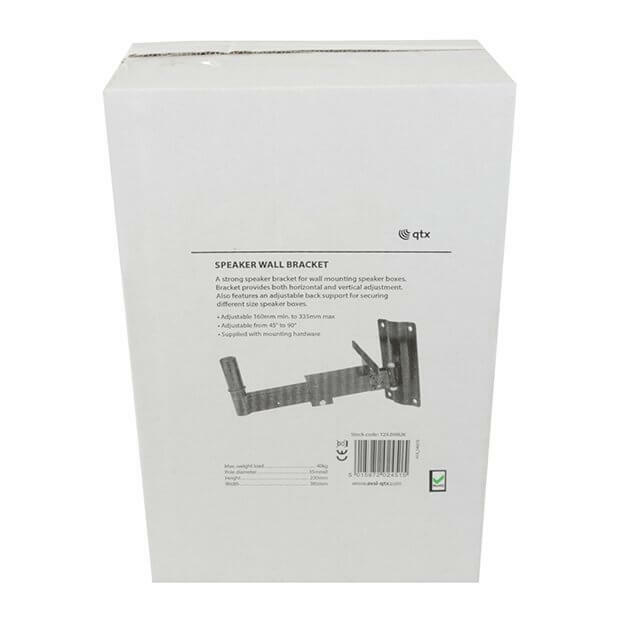 Bracket provides both horizontal and vertical adjustment. 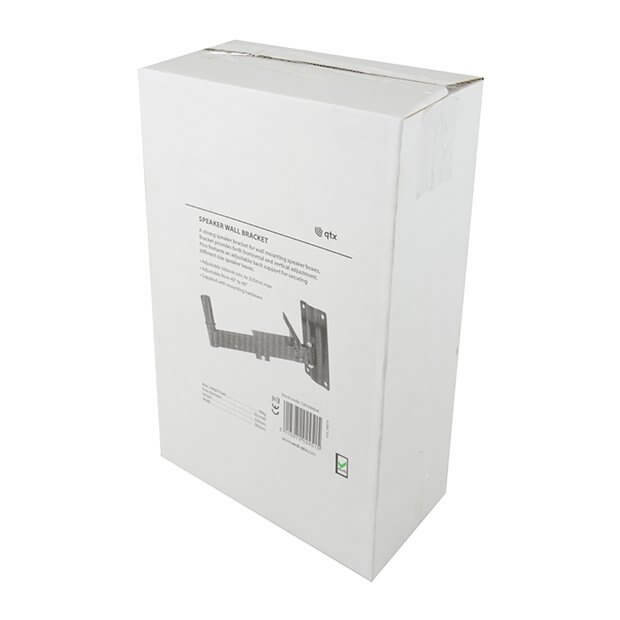 Also features an adjustable back support for securing different size speaker boxes.